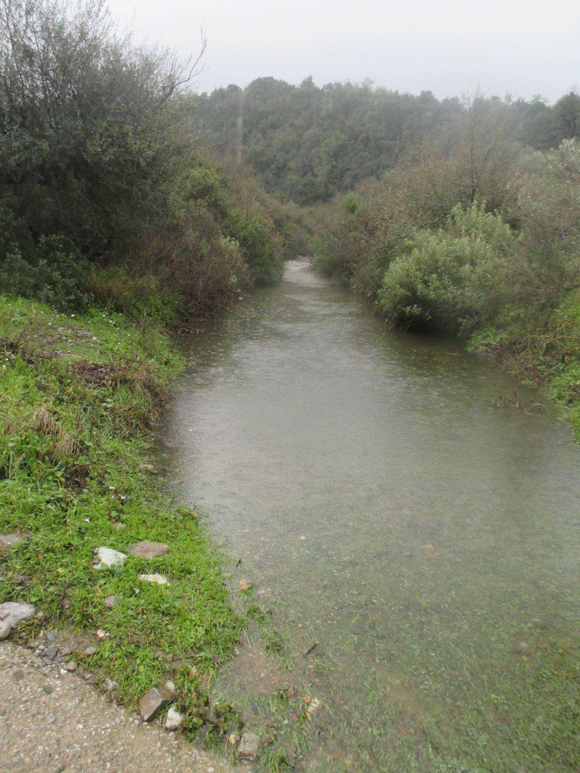 As predicted, by Monday mornng as the heavy rains on Sunday washed down from the Taygetus mountains, the dry river at the bottom of the valley that lies between the Greek Hovel and the village of Kambos was, er, not so dry. 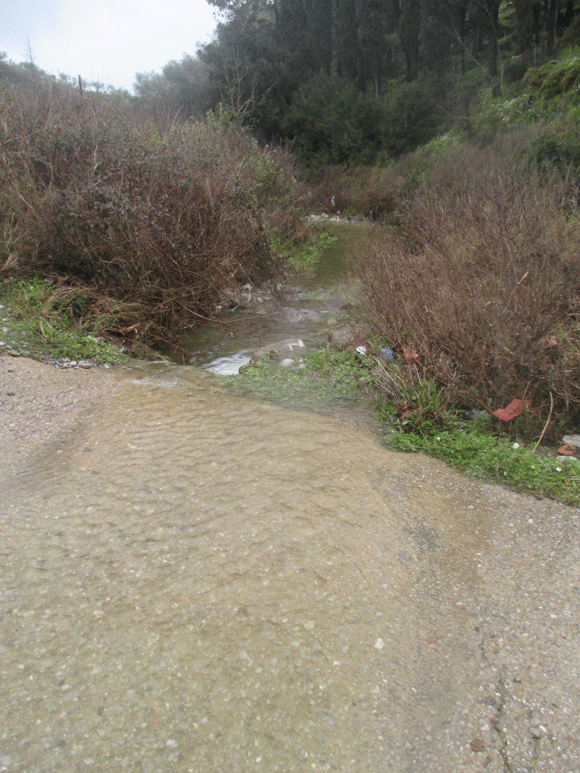 Two photos, one upstream and one showing where the river flows over the road and downstream show what I mean. It is not exactly life threatening but having driven over a parched and dry river bed all summer it makes an interesting change.